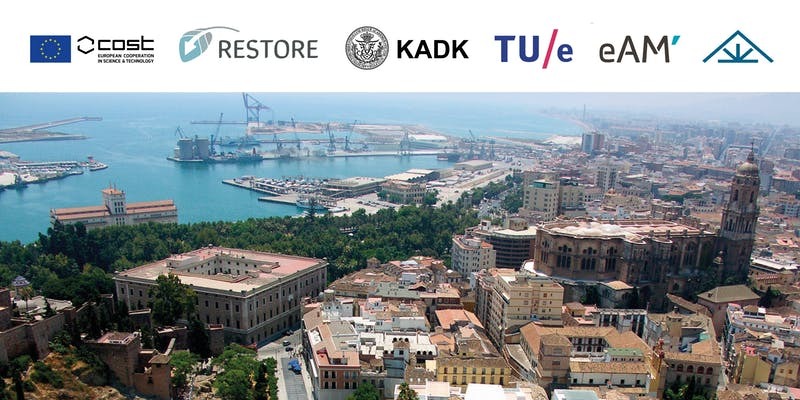 The main focus of the Conference Week in Malaga, organized in the frame of Cost Action RESTORE CA16114 (http://www.eurestore.eu/), is the Digital Implementation of the 17 UN Sustainable Development Goals and Regenerative Sustainable Design principles in the practice of design. Via the integrated use of freeware digital parametric modelling, the discussed challenges are to adapt to climate change, improve outdoor microclimate qualities and indoor health/ wellbeing, operating a transformation that responds to the criteria of Circular Economy. The international event is organized by Emanuele Naboni (KADK, Copenhagen, DK) and Lisanne Havinga (TU/e, Eindhoven, NL) and hosts 40 outstanding international speakers. Participation is free of charge and open to students, researchers and professionals. Please use this Eventbrite website to register your attendance. You need to register separately for every day you wish to attend.